In an article for Â«Youth Work NowÂ», Michael Bracey observes that we are not ready to take non-formal education forward into the digital age. I would even argue that non-formal education is currently left behind. The learner-centredness of web 2.0 technology and the learner-centredness of non-formal education seem like such a perfect match. And yet, we are to be found at the back of the digital revolution. Sitting there, not even really watching. UNDERSTANDING. Young people are leading the way in which technology is changing our world. Last year, I worked with 20 Europeans – all younger than 25 – who went on a trip to explore the new EU member states Romania and Bulgaria. They reported live from their journeys – magically with tools most of us still exclusively use for typing reports and making phone calls. VELOCITY. When you hit the magic button [publish], your thoughts will be online. There is no editing, no waiting for weeks for some layouter to be finished, no authorisation procedure before the printing – eh, no printing! It’s instantaneous: the moment you want it to be published, it will be published. No fears of being outdated when others can finally read you! VARIETY. You are one of the Unspeakables? You don’t like writing? Or you simply prefer photography or radio spots or short videos as a means of expression? This is your lucky time! There are many cool photoblogs and videoblogs and podcastblogs around already, and the scenes of youth work, youth policy, youth training and youth research would all largely benefit from the variety you bring in. 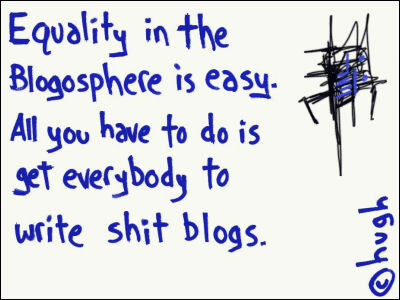 Hell, there are even moblogs, and it doesn’t stop there – endless opportunities! SPONTANEITY. Modern technology allows you to blog quickly, if you want. There is Twitter for being extremely short – you can just sign up for it, and twitter away – or Tumblr, if you prefer a lightweight blogging application. WordPress takes a little longer to set up, but you can do pretty much anything you want with the beautiful beast. NETWORKING. Through your blog, through sharing your thoughts and giving colleagues the opportunity to discuss and engage with your ideas, you can build up a network that is less dependent on physical meetings, which happen very rarely and are often overloaded with too many things already anyway. Little time is left for professional consideration of fundamental issues that are core to our work – a blog might be the place for you to have such a dialogue. LEARNING. As a blogger, you don’t write yourself all the time. You also read a lot and get exposed to the views, ideas and experiences of other professionals in the field. Over time, a network can develop and the power and wisdom of crowds has time and space to develop its full potential. As a professional on learning, blogging will help you to become a learning professional. SHARING. By making your stuff available to colleagues (and anyone who is interested, really), you make a visible contribution to the quality of the field. Others will happily follow your example and gladly join in to share their own resources, too. VISIBILITY. Blogging about our work not only makes problems more transparent or provides innovation through collective exchange and dialogue, it also – plainly and simply – gives the work we do with and for young people a medium, a voice, a platform. Such visibility and accessibility is badly needed – and we know it. We have known it for a long time. And complained about it for a long time, too. Shouldn’t we do something about it ourselves, then? and make that sharing a part of what you are doing? 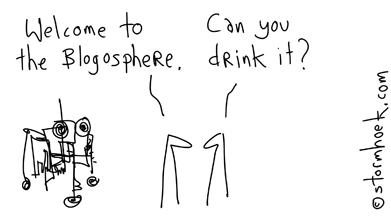 All cartoons once more by the spectacular Hugh MacLeod of gapingvoid. Despite the irony, Tim Davies wrote down 7 reasons why youth workers should be blogging. Now we already have 17 reasons. So what exactly are all the youth professionals out there waiting for?! 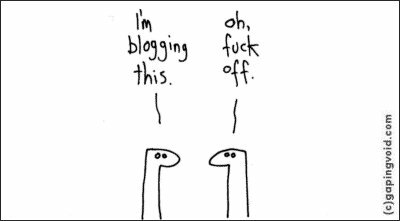 Ah, and to get you started: A Youth Workers Guide to Blogging. I like your opening point – the absurdity that those at the forefront of informal learning are at the very back of the line to embrace online technology! I think a reason for the in the UK may be that there was originally a concern about whether some young people would have access to the internet, but recently this has become a very weak argument – good internet access can be found in all sorts of places & devices now and its no longer the domain of those young people lucky enough to have broadband access at home (although so many do now anyway!). I think the technology and access to it have evolved so rapidly – and of course many young people have kept pace with it – the question is why haven’t the people working with them managed to keep up too? Having said that I don’t think its that ironic to blog about this. Just because people are reading them doesn’t mean they’re writing them – if we can get some of those reading to also start writing thats a very good starting point. The digital gap, on a European scale, is still a larger issue but ironically enough so much these days is web-focused anyway. Take the European institutions – to get their material, you need to be online. To apply, often you need to be online, too. In other words: the exclusion is already institutionalised, but some youth workers and trainers continue to use the digital gap as their reason not to embrace new technologies. And while I agree that something needs to be done about the tailoring of European youth work for online-savvy urban youth, I don’t think the situation holds up as an argument against blogging. 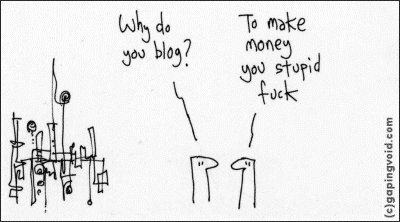 And yes, I agree that the irony is limited, otherwise I wouldn’t have blogged about it :) Though there is a point that our efforts must extend beyond those who read but don’t yet blog – hence the idea of blogging guide. definitely – well please build on what we’ve started with the draft guide to blogging and we would certainly use the various things that get produced within our training to spread the word offline too! Our work in Europe so far has been limited to Ireland & Albania so my knowledge there is limited, but interestingly the online awards system we’re developing has had applicants from India, Nepal, Singapore as well as Canada, USA & the UK (from only a handful of applications so far) & with the costs tumbling down to get online (& buy a laptop) if young people can do it theres no obvious reason that adults working with young people can’t get online & contribute too. once again, up to date! just in couple of minutes I send a link to the blog, which we started last week during the early meeting of youth workers in Lithuania. sorry not able to share the blog as it is in Lithuanian, but the idea of ours was get into the blogging for experience, learning and sharing. I am looking forward to see how it will develop and for sure I will send a link of this article to my colleagues. just for your curiosity and language learning – in Lithuanian language for masculine words we often add ending “-as” (e.g. bar – baras, internet – internetas). 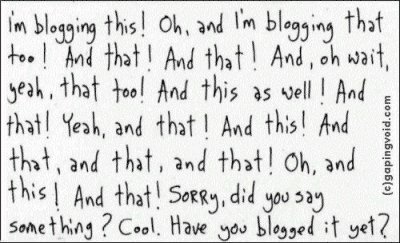 and if you add to the word “blog” ending “-as” you would get – “blogas”, which in our language primary means “bad”. playing with words makes people listen you! And thanks for joining the blogosphere, youth workers of Lithuania!